Mike Bowers of 2 Bros Coastal Cuisine shares what it takes to keep truckin’ on the food scene. There are likely few people happier to see the arrival of spring than Mike Bowers, co-owner of 2 Bros Coastal Cuisine food truck. Winter’s post-holiday snow-and-ice storm — quickly followed by dangerous road conditions and business closings — put the kibosh on his mobile kitchen. Though Bowers sometimes attempts to make it easier for customers to get their food-truck eats during inclement weather — via calling or texting orders for pick up — if it’s 30 degrees out and/or raining, it’s pretty much a wash no matter what he does (no pun intended). 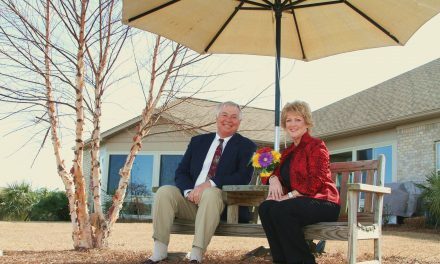 Though many transplants come to the area for the promise of sunshine, Bowers came to Wilmington for college in 1987. However, not unlike others before and since, he decided school wasn’t for him and left after two years. Nevertheless, he did hear the call to the kitchen. Once he got into Wilmington’s restaurant scene, he worked his way up — hitting local legends like Dockside, Oceanic, Hieronymus Seafood and on and on. All in all, Bowers has been in the food biz since 1989. 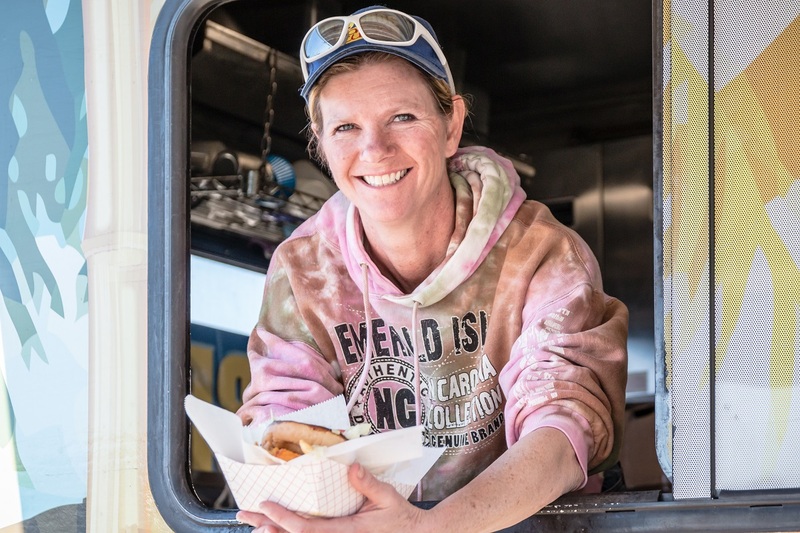 Today Bowers is a part of Wilmington’s growing food truck scene with 2 Bros. 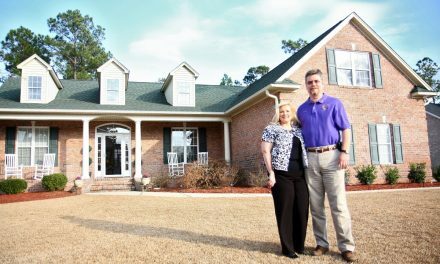 Though the tri-county area pales in comparison to the likes of Charlotte or Raleigh in numbers, it’s been growing since Bowers first cranked his truck in 2015. 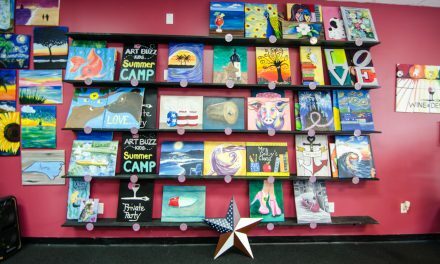 While Bowers lives in and is based out of Leland, 90 percent of his work and client base is across the bridge in Wilmington and throughout New Hanover County. He shares a commissary at Diamond Foods off College Road with three other trucks. It’s a catering facility that serves as a sort of homebase for 2 Bros, T’Geaux Boys, Steviemack’s International Food Company and YehMon51 food trucks. “It’s a very cohesive environment,” Bowers says. 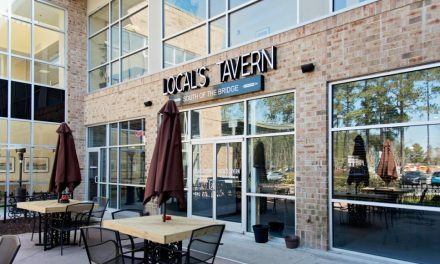 He mainly stays on Wilmington’s side of the bridge for business, often parking in the lots of local brew houses like Flytrap Brewery or other businesses such as Fire and Spice on Oleander Drive, which promise a good lunch or dinner crowd. While 2 Bros’ menu has evolved periodically since opening, Bowers has maintained a repertoire that keeps customers coming to his window. Now it’s just a matter of reading the crowd to see what those daily features will look like. Bowers is the main cook on the truck, while co-owner Peter Day is more on the finances these days. But it’s still a bit of a family and friends effort, including help from Bowers’ girlfriend, Christie. This isn’t Bowers’ first food truck rodeo, either. He worked on another food truck locally through Cinema Catering for roughly 15 years, back when Wilmywood was more than a fond memory. Moreover, Bowers has been in kitchens from here to Baltimore in his tenure. From his short-rib burger and Santa Fe chicken to pimiento cheese chicken and Cajun shrimp, his sandwiches and wraps are front and center. 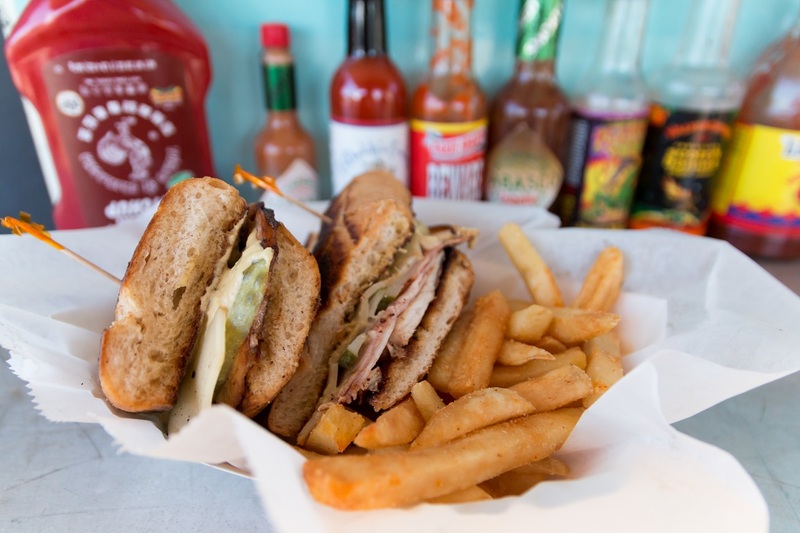 But it’s Bowers’ prized Cuban sandwich, featuring roasted pork, garlic pickles, ham and sharp Swiss piled high, that is a personal favorite. What sets this sandwich apart from other Cubanos is a zesty horseradish-Dijon mustard in lieu of traditional yellow, as well as a preferred Cuban roll he sources from US Foods. The 28-inch loaf is cut into hearty 7-inch sandwiches. 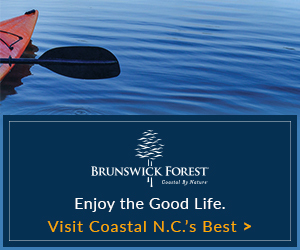 However, anyone in Brunswick, Pender or New Hanover counties can reach out to 2 Bros for business. Bowers is even seeing more demand to cater special events like weddings. Bowers can work with special requests and menus to a certain degree for special events, but typically they settle on about a half-dozen sandwiches and/or wraps and basic sides. Everything is a la carte and made to order. Bookings, however, all revolve around timing, number of people and location, so call early! 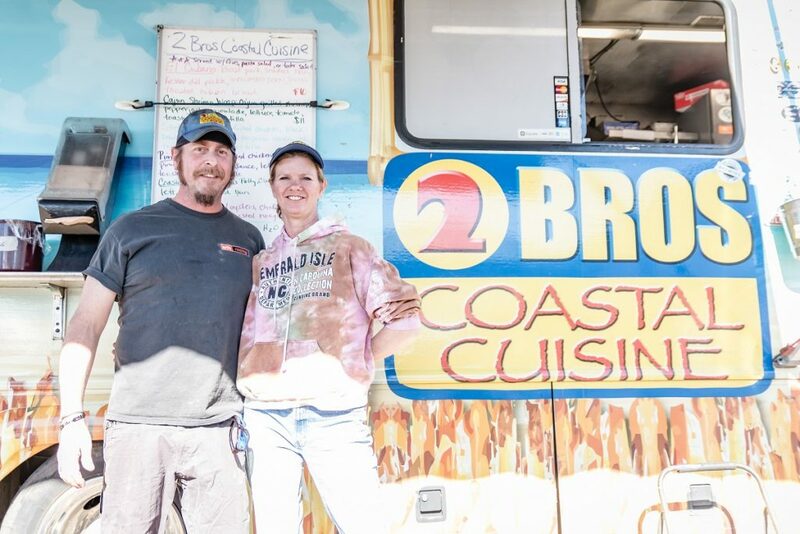 Want to catch the 2 Bros Coastal Cuisine Food Truck? Follow 2 Bros Coastal Cuisine Food Truck on Facebook to find out where they’ll be parked next, or call (910) 279-4946 or (910) 297-0131 for inquiries.